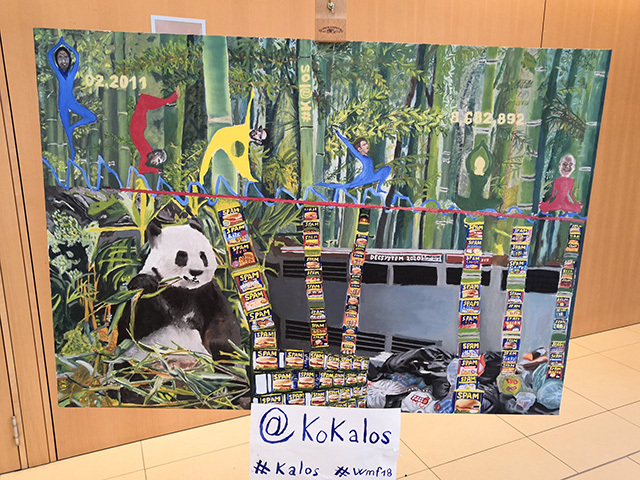 Giuseppe Pastore shared a picture of a painting by Calogero Dimino where it has a Google Panda theme but also has the heads off John Mueller and Matt Cutts, amongst others. I think Larry Page and Sergey Brin, the founders of Google are in there as well. You can see the cans of spam and the Panda bear. You can see the date 02.2011 is listed there, which is when Panda was released. There are lots of things in this painting, for those who are into art, you can interpret it. This was posted on Twitter.